It’s the season of sneezes and coughs, and the risk for colds and the flu is on the rise. At my dental office in Glen Allen, we strive to keep our patients healthy, but even we don’t have a cure for the common cold. While many of us turn to over-the-counter medicines to put our pesky coughs to sleep, cough medicines can actually contribute to tooth decay and cavities. Cough syrups and lozenges often contain sucrose, high fructose corn syrup, citric acid, and alcohol. While these ingredients help relieve some symptoms and make managing a cold a bit easier, they can also cause damage to your teeth. 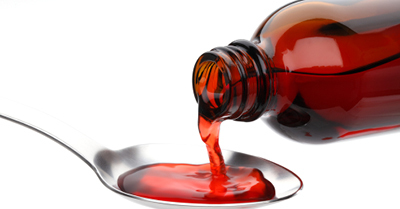 Mary Poppins may have been on to something when she sang, “a spoonful of sugar helps the medicine go down.” Many cough medicines include sugar to make the liquid easier to take and not so awful tasting. However, sugar is a main contributor of tooth decay and cavities. Mouth bacteria consume sugars which are then broken down into acid. This acid attacks the enamel and leads to decay. Alcohol naturally causes your mouth to become dry, and when your mouth is dry, your teeth are at risk for damage. In a normal, healthy mouth, saliva is produced at a rapid rate — about a quart of saliva a day! Saliva is important for the health of teeth because it helps wash away sugar and acid. Without it, sugar and acid are left on the teeth for longer periods of time, increasing the risk of decay and cavities. Many cough suppressants are taken right before bedtime. This itself can contribute to a higher likelihood of decay. Since there saliva production decreases at night, the use of a cough syrup before hitting the hay can make saliva production extremely low. Additionally, taking a dose of your medicine of choice prior to falling asleep will allow the dangerous ingredients to linger on teeth even longer. That, plus the decrease in saliva, is a winning recipe for cavities. Try taking medication with meals, brush your teeth after swallowing syrup, or use a pill form of the medicine instead. All of us at my Glen Allen dental office hope you’re staying healthy this cold and flu season. If you succumb to the pestering effects of a cold, use caution when taking medicine and follow the tips above to help protect your smile. Posted January 21, 2015 by Glenn Fortner & filed under General Dentistry.